Kjartan Sigurðsson participated in an ESRC Research Seminar in London last week on responsible finance in emerging/developing countries. This is his report of the Research Seminar. There is a common ground for academics linked to the ESRC Research Seminar, namely SMEs in developing countries. The agenda is research on CSR in SMEs and the potential financing capabilities and barriers faced in the context of building sustainable financial institutions for under-served markets and populations. Common barriers faced by SMEs in developing countries are linked to access to finance, lack of supportive investors concerned with things other than the maximization of profit, lack of interest in regional development, business education and development of CSR oriented business models. The seminar was mainly concerned with CSR and terms that include risk management, organisational behaviour, and sustainability and SME innovation in developing countries. There was a consensus on how important it is to support business education, business development and management. Educating business owners and those interested in developing a business in the developing world can help businesses to address important issues such as responsible investment, impact of value chains, the interaction of large retailers and producers with small farmers, issues of sustainability in foreign direct investment, and linking domestic production to the global supply and technology networks. Business models were identified as an important issue for SMEs in the developing countries that commonly face high barriers to capital and competence. Development of new business models can reduce this deficiency because of the possibility of developing these business models to combine the cost efficiency of micro-finance with the monitoring capabilities of private equity. Attention has been paid to micro financing initiatives such as hybrid organisations that attempt to satisfy more than one primary goal in a response to changing demands upon the business community that has led to the development of various internal coalitions. Such response has become important and has led changes in attitude and the fight among internal constituents to protect business interests. Furthermore, the failure of formal financial institutions has led to further development of microfinance institutions that share a commitment to serve the clients that have been excluded from formal financial systems. However, access to financial resources and availability for individuals that are interested in developing a business (entrepreneurs) are scarce. Considerable attention to multiple goals or purposes is needed in research and development deriving from academia, financial institutions and private investors to build trustworthy businesses that are focused on socially responsible business practices. Defined business models are relatively rare in SMEs in developing countries due to lack of knowledge of their existence, lack of availability of education and lack of capital and competence to build up a sustainable business that can grow organically and have impact in society. 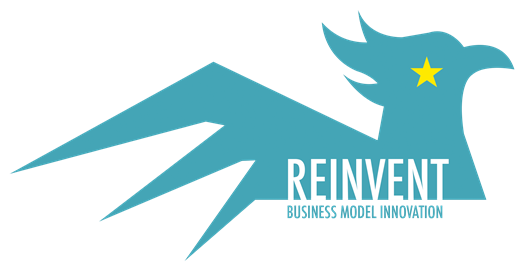 Business models are important in this setting because they can be developed to reduce risk and failure of businesses. New business models need to be developed to build up reasonable business ideas that are linked to ideas gathered around CSR.